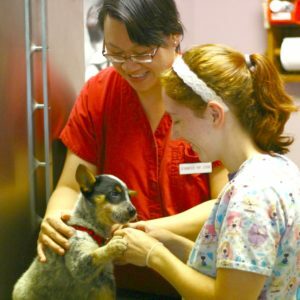 Wellness exams and vaccinations are important to prevent illness in your pet. A yearly exam can be vital in finding abnormalities such as dental disease, heart murmurs, weight loss, and lumps. Early detection of disease can prevent more expensive or invasive procedures in the future. Keeping current on vaccinations can prevent your pet from contracting numerous diseases. Your health care team will help you determine which vaccines your pet needs. The type and frequency of vaccines is determined in part by your pet’s age, their exposure to disease, and the other animals in your home.